Today's bedroom was sent to us by 29 year old Graphic Designer, Alison Fiedler. 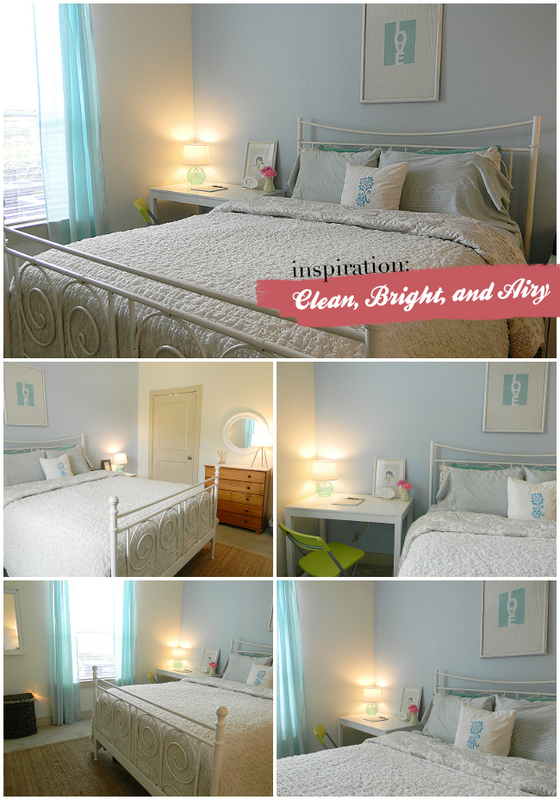 She was inspired to create a clutter-free, bright, light, and airy bedroom by the multiple design sites/blogs that she follows. We're especially fond of the LOVE print by Jen Ramos hanging above her bed. Pick one up for yourself here! Thanks for sending us your fabulous room, Alison! If you think YOUR student space is unique and inspiring, please send us some pictures of your room to twoofakindblog@gmail.com!